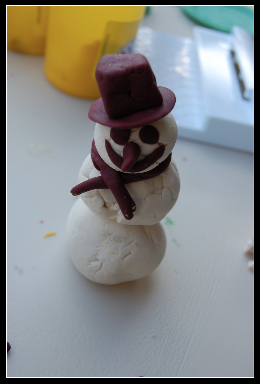 The girls and I celebrated National Playdough day on Friday. We gave Allie a food making Playdough set for Christmas last year but we put it away. I brought it out as a surprise for them on this day. Both of them loved it! We had ice cream to celebrate too! Feeling Christmasy already, I made a snowman for the girls. It was game night and we played with the family memory game I made from baby food jar lids thanks to Livin the Yeh Life for the idea. 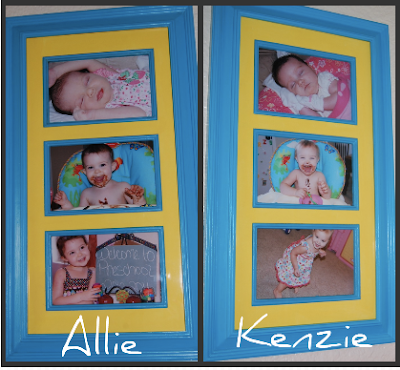 Match the name of the family member with their picture. Helps recognize letters and spelling. Kenzie liked filling the tube and emptying the tube. Over and over! 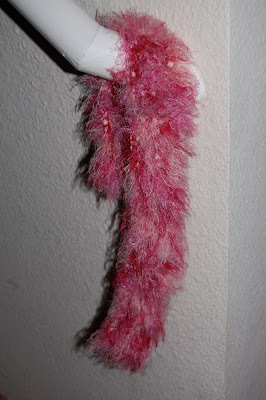 I started making a scarf for the girls Friday night and finished it Saturday morning. It is a tad too short but I think I can just add on to it. Allie loved it! We stayed home all day Saturday. All three of us girls were sick. 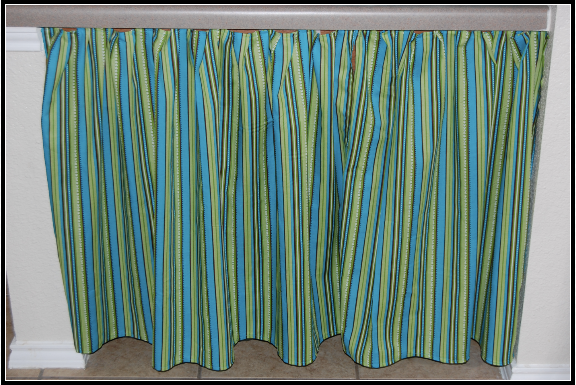 I made a curtain for a cubby area in the kitchen to hid my craft tubs. 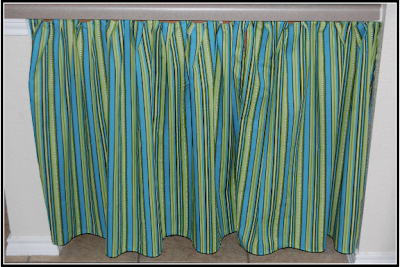 I made a curtain for the girls play room. No picture yet need to put it up still. 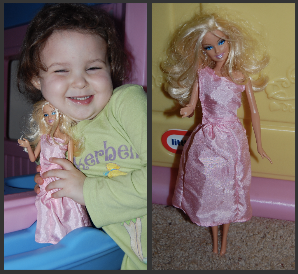 Used the scraps from their curtain to make a dress for Barbie. Then I made a bed and pillow set for Barbie. Allie wanted her to have a soft blanket. 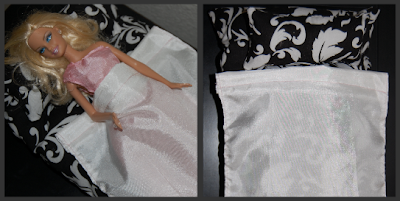 Made the blanket so it is attached to the bed so the girls won't lose it. 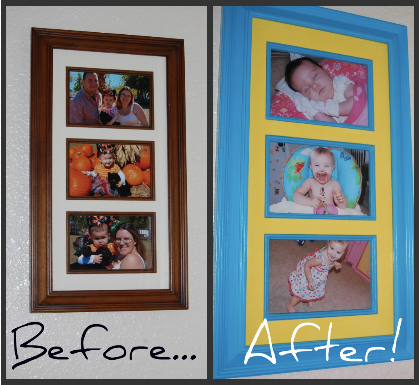 I also finished painting two of our picture frames to add some color to the kitchen! We are feeling much better today and excited to start the new Joy School curriculum we got last week. Melissa, the scarf (and everything else!) is adorable!!! What kind of yarn did you use???? Margarita I got the yarn on clearance at Hobby Lobby. I have no idea what kind it is. I threw away the paper that went with it but it was pretty and fuzzy so I bought it and thought "I can do something with that". :) I don't think I used the size of knitting needle the package called for but it didn't seem to matter.